Alcohol and drugs are just some of the coping mechanisms that people use to escape and avoid dealing with unwanted thoughts and feelings. We help people work on identifying their core problems and bring about healing. It may take 21 days to break a habit and 90 days to shake off the influence of a drug but true recovery takes a lot longer. This is why our restoration program lasts 90 weeks and the lasting relationships built help in aftercare. We offer five nights of emergency shelter to just about anyone who does not pose a danger to themselves or others. During this time we encourage our guests to apply for our long-term restoration program. The first 15 weeks of the program our participants work at clearing their minds of drugs and alcohol; begin to trust others; identify healthy relationship boundaries; live in community; explore relationship with God and His power to bring change; admit underlying problems and powerlessness to change. Our program participants are set up with a mentor from a local church that meets with them weekly as they build healthy relationships. Continue identifying healthy relationship boundaries; acknowledge pain that drugs and alcohol were meant to numb; confront lies they’ve believed about God, the world and themselves; take a moral inventory of past behaviors and confess failures; investigate finding significance in Christ. Take risks and practice living life in a new way; have freedom to make mistakes in a safe and healing environment where forgiveness and acceptance are also practiced; face feelings and share them with trusted people; continue to explore and claim identity in Christ; begin Business Practicum. Start educational process of the restoration program that includes workforce development and life-skills training. If reentering the workforce start business practicum with local business. 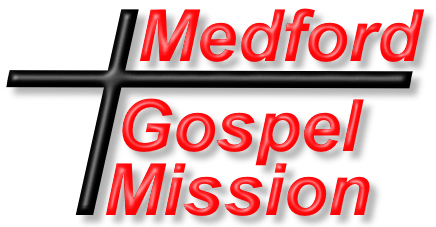 Transition; pursue or maintain work/school/church; reside in community outside the Medford Gospel Mission. Take part in aftercare recovery programs. Take part in annual anniversary dinner to celebrate successes achieved after program completion.